With the federal election expected to take place on or before May 19, all sides of politics are getting more and more assertive in shaping their policies and making announcements that they believe will resonate with Australian voters, sway their voting decision and ultimately give them the balance of power. 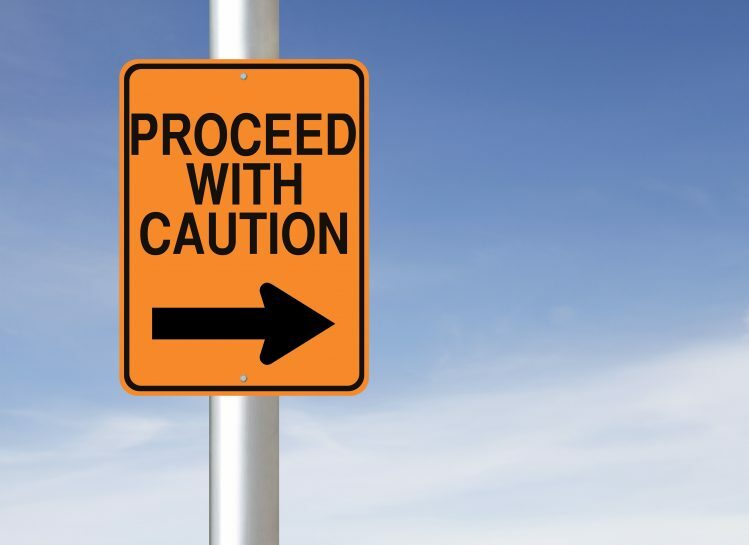 Whilst speculation continues, there are no guarantees on which of the two major parties will win the election and the balance of power in the Senate will always be a critical factor in determining which policies and funded programs go ahead. If neither party is in a majority situation after the election (meaning they don’t have enough seats to form a government on their own), they will have to rely on the crossbenchers to align with them in order to form a government. As this is a crucial time in the forming of party policy, ACA is working hard to engage with all sides of politics, to talk about our policy priorities with all parties. In this context ACA developed a pre-election engagement strategy, to put forward member views on creating a future where every child in Australia has access to high quality, affordable and sustainable early learning services, thus giving them the best start in life. What is ACA asking for? We’re urging all parties to support a revision of the Child Care Subsidy parameters so that all families qualify for 18 hours per week of subsidised access to early learning services, equivalent to meeting step 1 of the activity test. ACA is also calling on all parties to support the provision of additional funding that supports the long day care sector in delivering kindergarten/preschool programs for 3 and 4 year olds, taking advantage of age-appropriate, developmentally-appropriate and culturally inclusive environments and pedagogy that are already established, therefore reducing the need for significant capital investment by government. This would allow parents the choice of early learning service type that best suits their work/life needs. 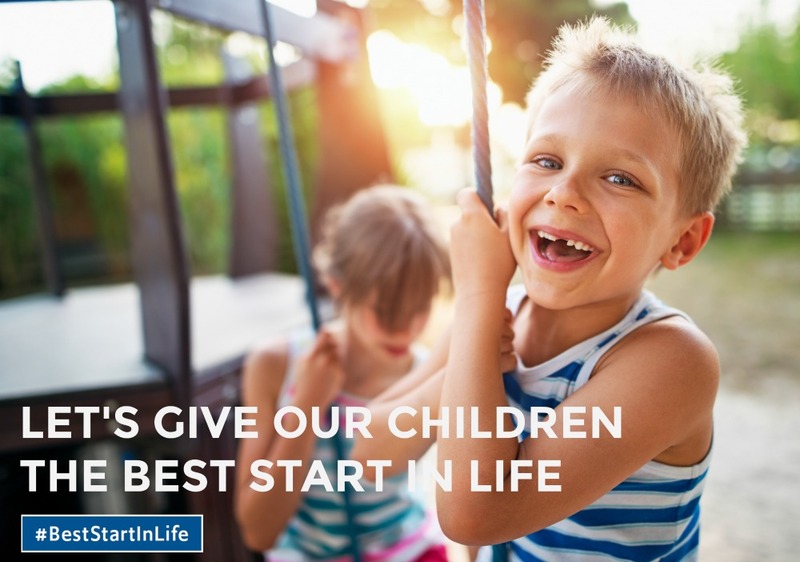 You can read more about these policies on our Best Start In Life website. Who have we spoken to? Our Best Start In Life campaign commenced earlier this month and involved engaging directly with Dan Tehan, Minister for Education and Training and Amanda Rishworth, Shadow Minister for Early Childhood Education and Development, along with a host of other Members of Parliament (MPs) and candidates. Meanwhile our state bodies are also working hard, inviting the Federal Members of Parliament in their states from all parties, along with their opposing running candidates, to meet with them. This often includes an invitation to have a tour of an ACA member early learning centre, so that we can give our politicians a real life experience in a quality long day care centre, and demonstrate the ideal environment that long day care offers for three and four year old kindergarten/preschool programs. Over the past month ACA QLD has met with an impressive number of federal politicians and candidates. In early March ACA QLD President Majella Fitzsimmons met with Dan Tehan, Minister for Education & Training and Federal Member for Wannon (LP). The meeting took place at Approved Provider John Nawar's Amazing Grace Early Learning Centre Railway Estate in Townsville. ACA QLD also met with Ros Bates, State Member for Mudgeeraba (LP), Ted O'Brien, Federal Member for Fairfax (LP), the Honourable Grace Grace State Minister for Education and Industrial Relations Qld (ALP), Andrew Laming, Federal member for Bowman (LP), Bert van Manen, Federal member for Forde (LP), Keith Pitt - Federal Member for Hinkler (LP), Richard Pascoe , candidate for Hinkler (ALP), Murray Watt, Senator for Queensland (ALP), Tracey Bell Labor Candidate for Moncrieff and the Hon Dr John McVeigh MP Member for Groom (LNP). Our Best Start In Life initiative also calls for a grass roots campaign, encouraging ACA members to invite their local MPs and candidates to their early learning centres for a friendly tour. This will allow our local politicians to see at close hand that long day care offers the ideal environment for kindergarten/preschool programs for 3 and 4 year olds. It will also help them to understand the impact of any early learning-related policy decisions they make at a service/family level. For example, ACA QLD Committee Member and Approved Provider Pam Maclean at Big Day Out Care & Education - Peregian Springs had the opportunity to meet with Andrew Wallace - LNP Federal Member for Fisher. 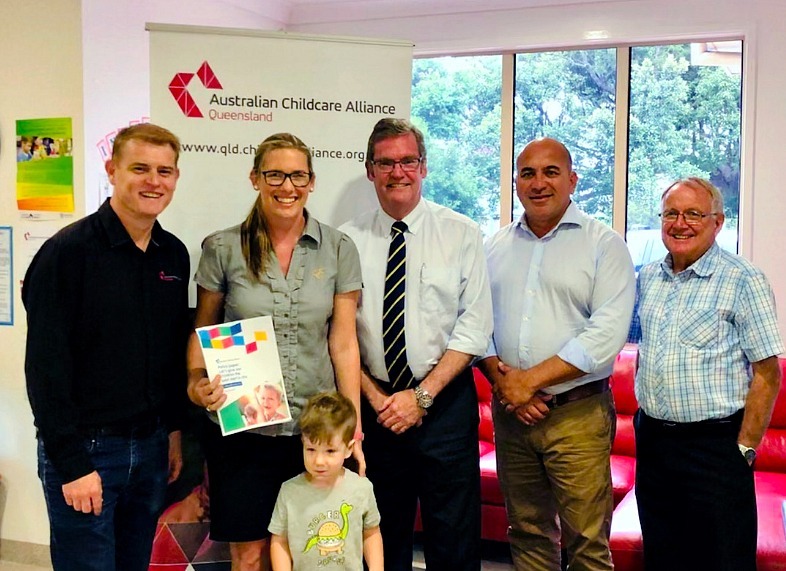 On behalf of ACA QLD, Pam thanked him for the Liberal National Party's long-term commitment to providing families with access to quality affordable early childhood education and care. Pam also had the privilege to have healthy and robust conversations on long term sustainable funding of Universal Access / Kindergarten funding for 4-year olds, the potential of a second year of kindergarten for 3-year olds, Child Care Subsidy, oversupply, standardised school starting age, red tape, NQF and workforce. ACA and its state bodies are very grateful to our members for contributing to the push for change - their political engagement at the local level contributes greatly to making an impact. At the same time, we're continuing to engage at the top level through the formal channels in the lead up to the election, to make sure all Australian children get the best start in life. ACA believes that with the right policy and financial frameworks in place, Australia could be a world leader in the delivery of high quality early learning programs within 10 years.